The Forbidden City is divided into two parts. The southern section, or the Outer Court was where the emperor exercised his supreme power over the nation as pictured below. While the northern section, or the Inner Court is where the royal family lived. The outer court and the Hall of Supreme Harmony at the background. the Hall of Supreme Harmany (Taihe Dian ) - where grand ceremonies were held like the Emperor's enthronement, birthday and wedding day, the dispatch of generals to battles, the Winter Solstice and the Spring Festival. I noticed the all of the buildings had these architecture designs. The mini statues represents the building's status. An American movie was made here. The Last Emperor if I'm not mistaken. To the south east and south west of the outer courts are courts for the military and literary purposes such as receiving ministers and printing. 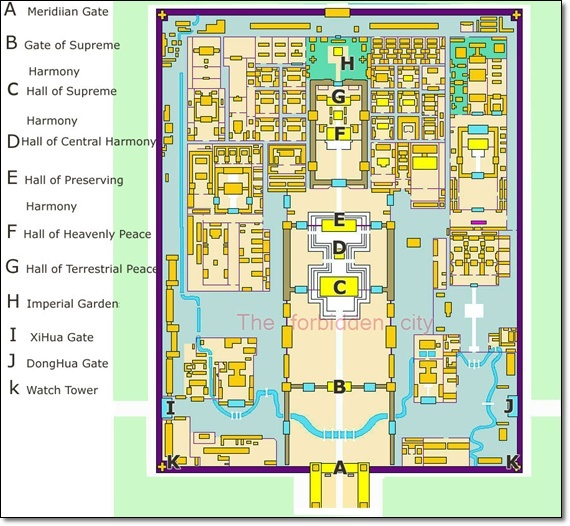 The arrangement of the halls can be seen below. At the front of the Hall of Heavenly Peace (methink, hehe) is a big bronze dragon. OMG... look at it's muscles!!! Aummm!!! On the way to the Imperial Garden, we stopped by the west side of Hall of Heavenly Peace, into the Palace of Gathering Excellence (not depicted on map). Entering Palace of Gathering Excellence, residence of the Empress and Imperial Concubines. 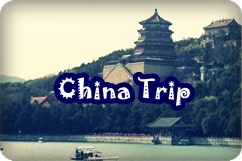 Here resides Chi Xiu Gong or known as only Cixi (慈禧) in 1852 when she was created honorable person Lan. She gave birth to the emperor Tongzhi here in 1856 when she was promoted to concubine Yi. Her pic is shown below at age 70, methink. Chi Xiu Gong, the Empress. Various pics from within the Forbidden City. 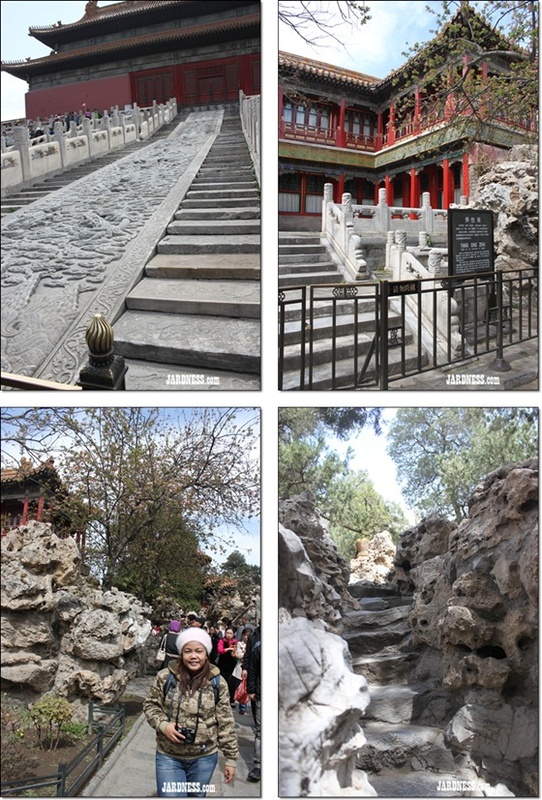 Clockwise from upper-left: Huge Stone Carving behind the Hall of Preserving Harmony, The Study of the Cultivation of Nature - Yang Xing Zhai, last two pictures are the surrounding rockeries of Yang Xing Zhai. So that ends my visit to Forbidden City. Next stop is the Silk Factory! OH ya, don't forget to vote for me for the "Tourism Travel Blog" Award here..
(Most of the info were referred from here -- source). Hi there, came across your blog at the MITBCA nominations. You have a good looking travel blog! 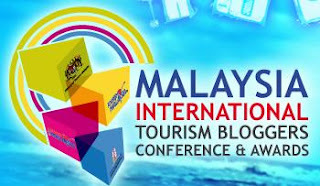 I'm also nominated, in the Tourism Destination Blog category. All the best! Jard..u got my vote!! !Good Luck babe!! Hello! Your site is so nice!